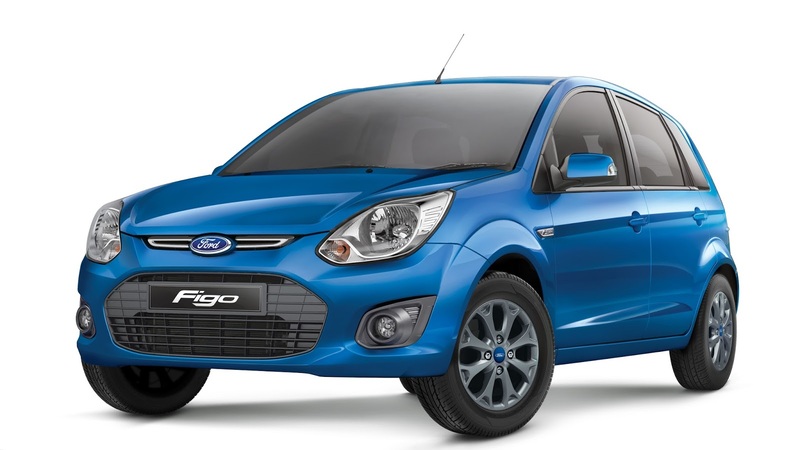 Ford India launched its much anticipated Figo Hatchback today on 22 September. With a price tag of Rs 4.30 lakh – Rs 7.41 lakh (introductory) the car appears no more than a bootless version of the Figo Aspire Sedan. Manufactured at Ford’s Sanand plant in Gujarat, the car is also being exported to European Car Markets as the new-generation Ford KA. Talking about the exterior, measuring 3886mm in length, 1695mm in width, 1525mm in height, a ground clearance of 174mm and with a wheelbase of 2491mm the car looks no more than a bootless (hatchback) version of the Figo Aspire. 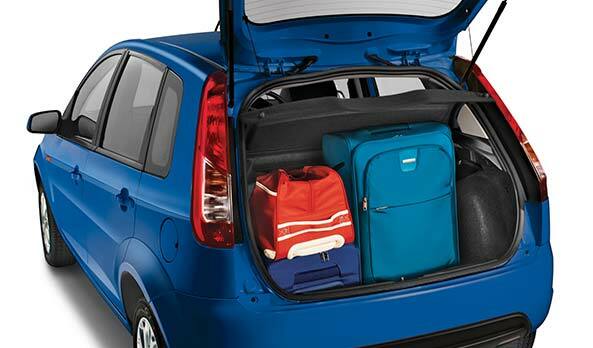 The hatchback is available in seven color options – Ruby Red, Tuxedo Black, Deep Impact Blue, Ingot Silver, Sparkling Gold, Oxford White and Smoke Grey. 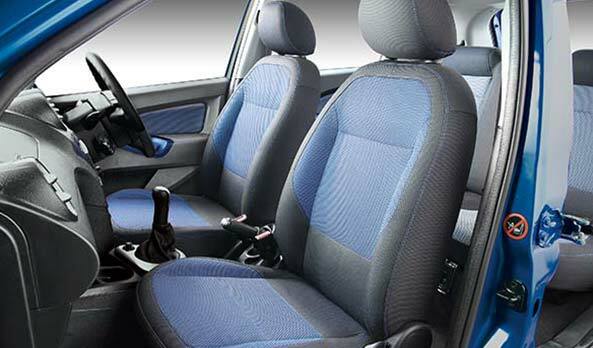 Inside, the car comes with a dual tone color theme, a black dashboard and beige faux leather seats. 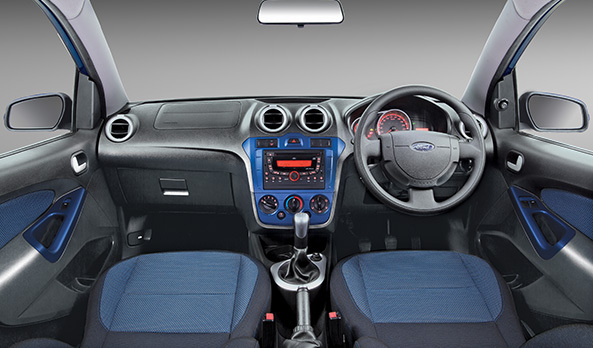 The car comes equipped with features like smart storage facility, anti-skid mats, adjustable head rests, Ford’s APPLINK and SYNC multimedia system but the main highlight of the new Sedan is the MyKey feature, in this the car will come with not one but two keys, ‘Administrator Key’ and ‘Guest Key’ the administrator key can set various limitation on the ‘Guest Key’ so when the car is used with a Guest Key the Guest will not be able to use all of the car’s feature the Admin Key can also set various restriction on the car such as max volume limit, top speed limit, deactivation of safety aids and seat belt insist. Other features included in the car are, Perimeter Alarm which triggers when the car senses an unauthorized attempt to enter the car, MyFord Dock which is a docking station on top of the center console which can be used for various functions like sat-navs, mp3 players and a feature by which you can store mount and charge smartphones. The new Figo hatchback features the same engine options as the Aspire sedan with 1.5-liter Ti-VCT 4-cylinder petrol, 6-speed dual-clutch automatic transmission. 1.2-liter Ti-VCT 4-cylinder version of the Figo’s 1.2 Duratec motor gets independent variable valve timing for both intake and exhaust valve, which generates 88 PS @ 6300 rpm and 112 Nm @ 4000 rpm of peak torque and is coupled with a five-speed manual transmission. 1.5-liter TDCi uprated version generates 10 PS of power and torque bump generates 100 PS @ 3750 rpm and class leading torque of 215 Nm @ 1750 – 3000 rpm of torque. The power is sent to a 5-speed manual gearbox and it returns an impressive 25.83 kmpl. 1.5-liter Ti-VCT Petrol with 6-Speed DCT The motor produces 112 PS @ 6300 rpm and 136 Nm @ 4250 rpm of max twist in Aspire. The engine is coupled to a 6-speed dual clutch automatic transmission with a decent mileage of 18.16 kmpl.